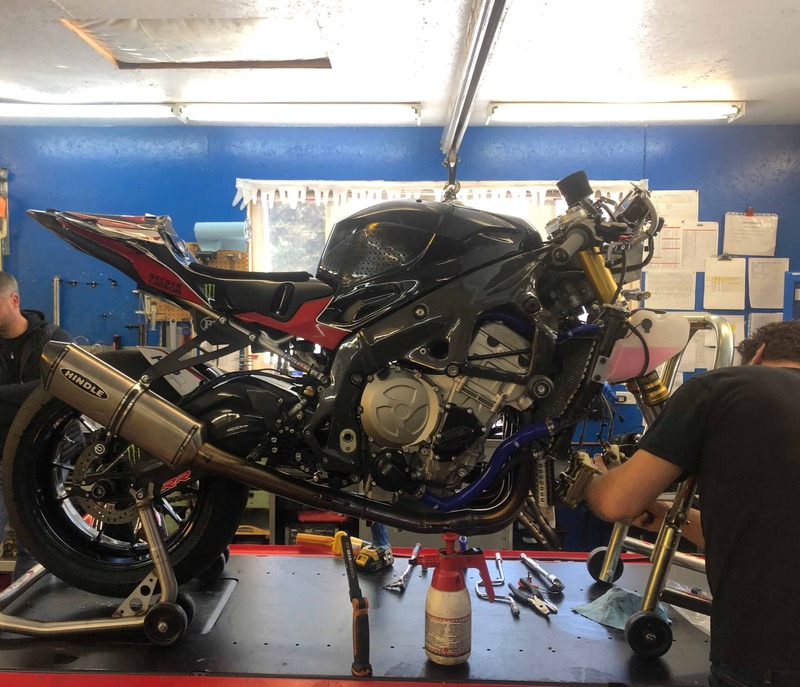 We wanted to take a look at one of the biggest handling problem-causers we see day in and day out at the shop, at the track, or in the field. At the shop, we get a pile of off-road KTMs come through our doors, and just about each one has the same issue, namely fork binding. To see if your off-road bike suffers this ailment, balance it so that it is straight up and down and push straight down on the gas cap, in a vertical direction. Most of the XC and XCW models we try this experiment on will bounce their rear fender up and down as the shock compresses with absolutely no movement in the forks whatsoever, all while pushing down on the gas cap! We have to actually get our shoulders up and over the number plate and sometimes even hold the front brake on to get any movement from the forks at all. At the road race track, this same issue shows up all the time when we check for sags; where we pick the bike off the ground and measure the forks extended length, then let it down and place the rider on the bike and measure it again. You know you have a problem when the rider hops on the bike and the front end barely moves under their weight. At this point we call off the setting of the sag and instead turn the sag appointment into a mission to find the binding we nickname ‘stiction’. A street bike or off road bike’s front suspension should move when you push on the top triple clamp firmly with your fingers! If they don’t, you have a problem that will reveal a huge improvement when it is corrected. In both of these cases above, I try to explain to the rider how this binding is affecting both the forks inability to absorb the smaller bumps, and the huge effect this binding is going to have on the running geometry of the bike. With as much friction as is experienced with these examples, you can imagine the size of the bump you need to hit before the forks break friction and actually absorb the impact, not just transmit it into your hands. When we correct this binding problem at the paved racetracks, the riders are amazed at how much better the bike turns and stays on line at the corner exit than it did before, with absolutely no other changes to the suspension at all! 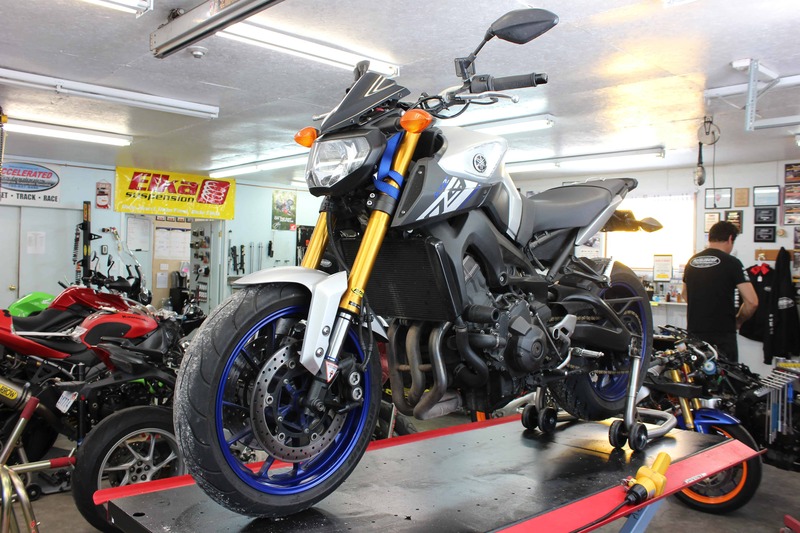 This is due to the sticky forks tendency to operate way higher in their travel at all times than where they should be working, which changes the steering characteristics of the motorcycle dramatically. Now lets look at the causes of this binding in order of ease of correction. First off, I ask the rider if they noticed the poor performance of the forks and if they did, when did it begin? 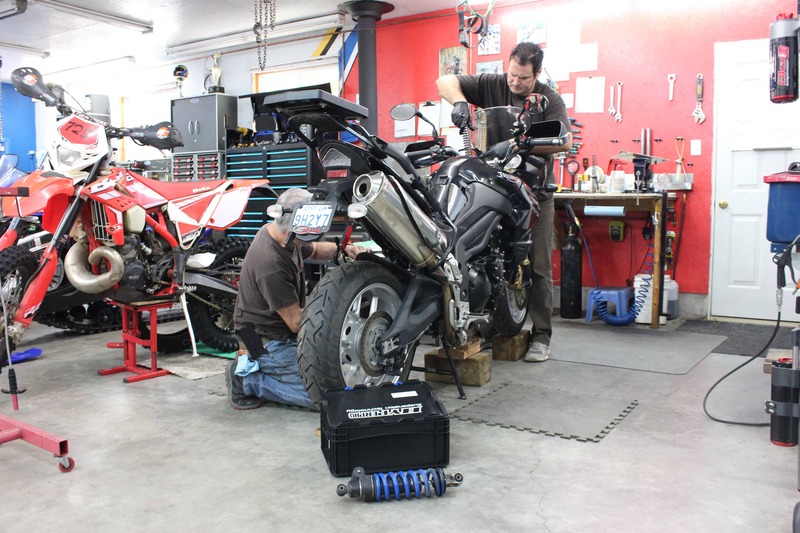 Sometimes it can be traced back to the last time the front tire was changed, or maybe a fall. Upon investigation, I usually discover that the front wheel was removed on one of those cheap front end stands that locates under the bottom of each fork leg. I endorse these types of stands for things like tire warmers, or caliper cleaning and light maintenance only, but not wheel removal. The static distance the arms are apart on these cheaper stands will affect and dictate the “parallelity” of your forks upon reassembly. 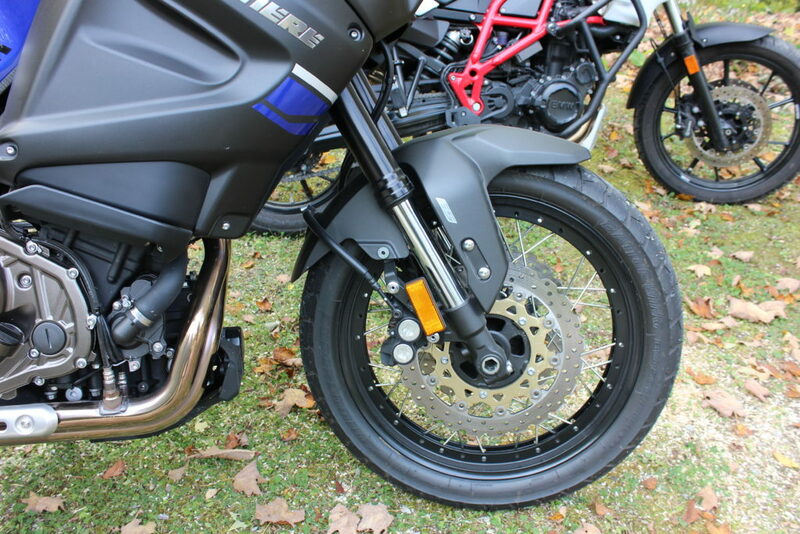 On almost all street bike’s front axle designs, the axle tightens to one side, holding the wheel located to one fork leg, while the other fork leg is allowed to ‘free-float’ on the axle in hopes of maintaining a parallel relationship to the other fork leg. When you tighten the lower fork leg pinch bolt, it locks the ‘floating’ fork leg onto the axle even if your stand is forcing the fork legs too far apart or together. Upon tightening the pinch bolt on one of these stands, you will now have ensured a much higher than normal amount of friction into the fork, which will get worse as the forks travel deeper in their stroke. Whenever removing the front wheel, use a stand that locates into the bottom of the steering stem pivot area, this will allow the forks to hang unaffected and if everything is clean and lubricated the forks should hang perfectly parallel when you tighten everything up. The second culprit that induces ‘stiction’ into the front suspension is a fall, which happens daily in the woods or on the MX track, but is also common on the paved tracks as well. What happens in order of occurrence in a fall is quite predictable, usually starting with a quick intake of breath, then a curse just as the side of the bike hits the ground. Handlebars, always being the widest part of the bike will dig in and if the bike is still moving forward, the lower handlebar will be driven backward and in towards the tank. What stops this forceful rearward motion is most often the steering stop that is part of the bottom triple clamp. Unfortunately the handlebars or clip-ons are located on or near the top triple clamp and the imagined leverage that occurs between these two points some 8” apart, results in a twisting force between the upper and lower triple clamps. The machining grooves on the fork tubes will never allow the fork to move up or down in the triple clamp, but they can twist in the clamps quite easily, and in even the lightest fall, the two triple clamps almost always invariably twist out of alignment a little bit, binding the forks up like crazy. Misalignment of the triple clamps will be noticed when removing the forks from the triple clamps. Leaving one fork leg in place, slowly remove the second fork from the clamps, paying attention to how easy it is to remove, realizing that when new, the fork will literally fall out of the clamps when all triple clamp pinch bolts are loosened. If the fork leg jumps to the front or back when it clears the upper triple clamp on it’s way down, the triple clamps were severely misaligned, or your fork tubes are bent. However if the fork leg removal just gets way easier when it clears the upper clamp, then they were just out of alignment a little bit.